Item : fried ice cream kosk . Color : white , purple , wood grain . Location : United States . Size : 10X12ft . 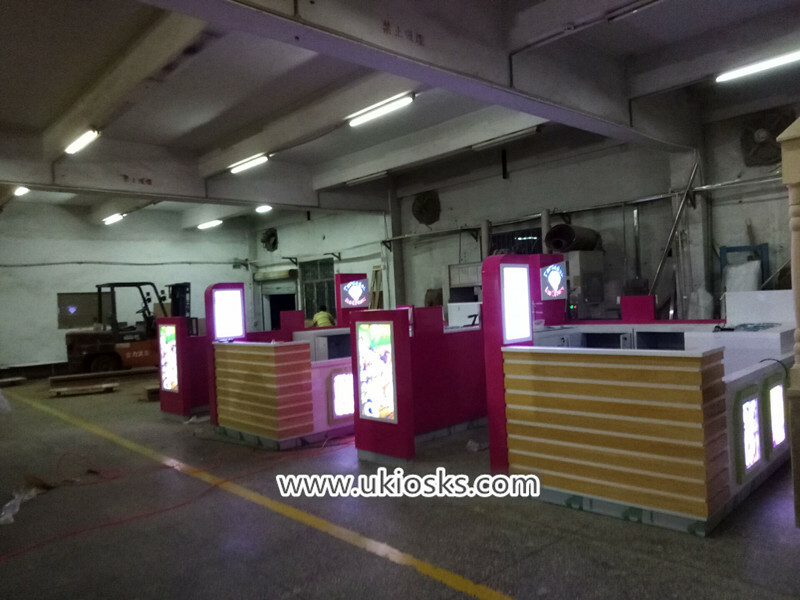 Material : plywood , solid wood strip , laminate . 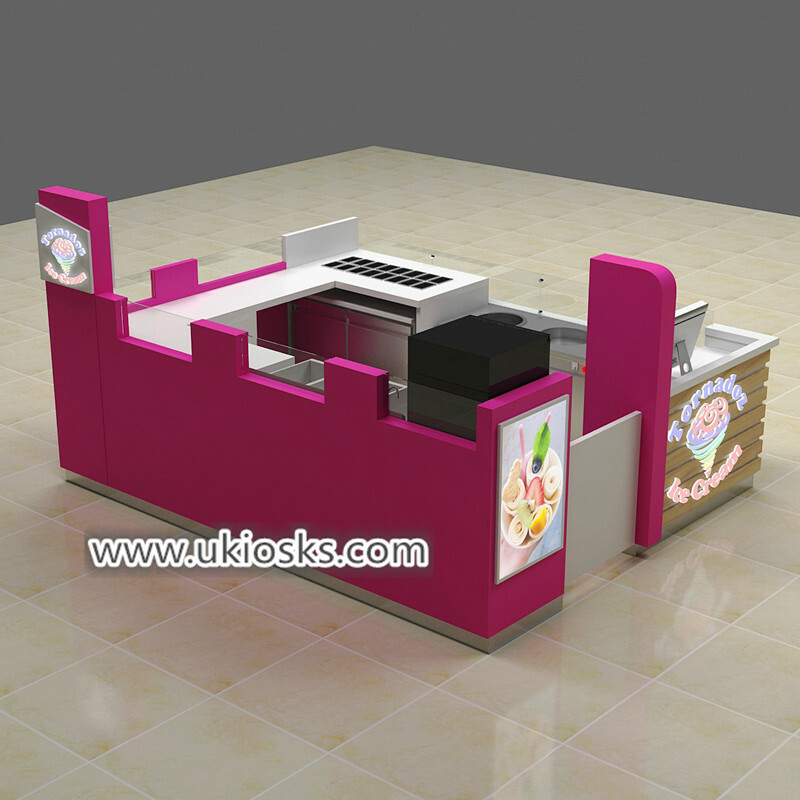 Function : for fried ice cream , yogurt , drinks etc . 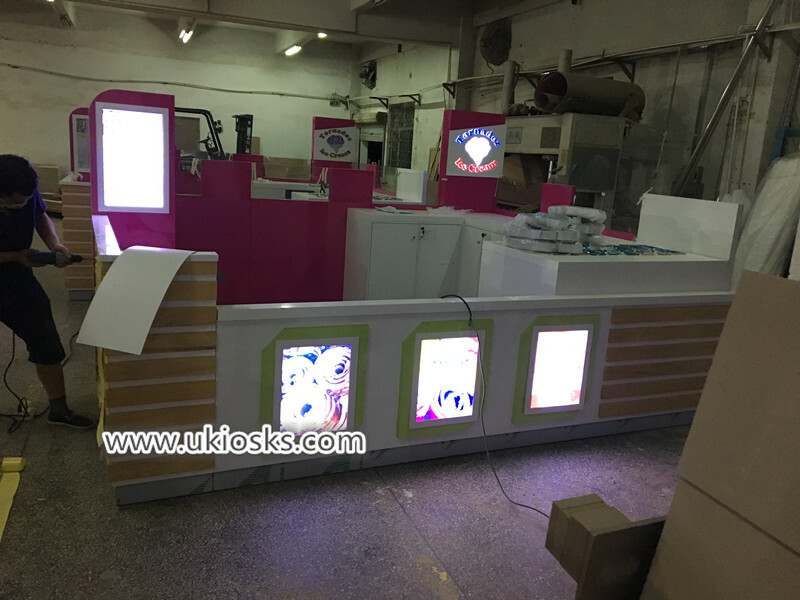 For this whole fried ice cream shop , mainly material is plywood, white man made stone worktop, surface is white and purple color laminate finished , front part with some solid wood strip decoration . looks very nice and elegance . 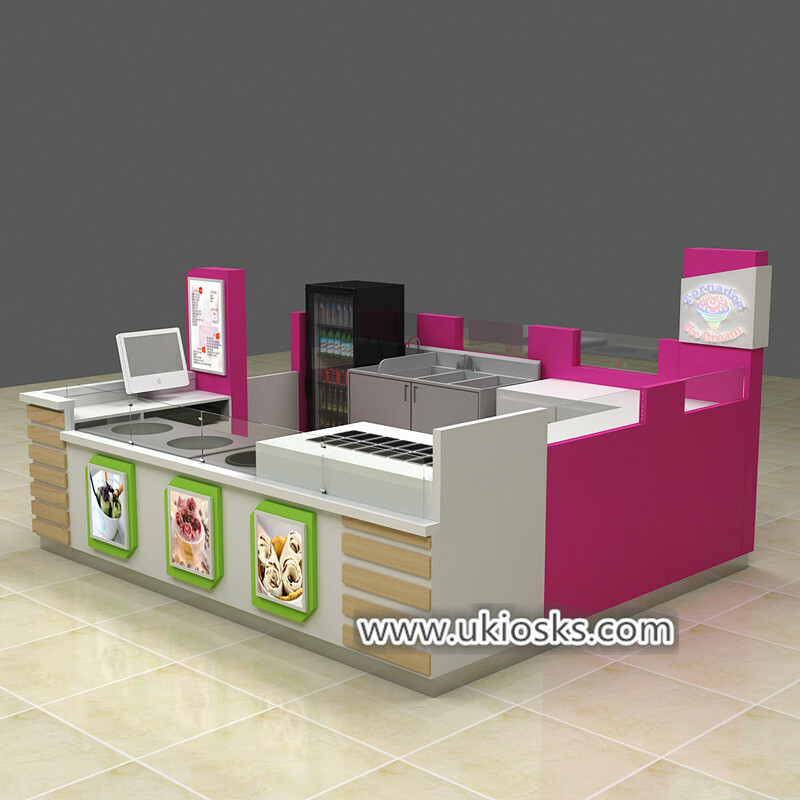 The front part of this kiosk with stainless steel topping and ice cream roll machine , undercounter have space for put small fridge , the back sides with stainless steel sink for clear . 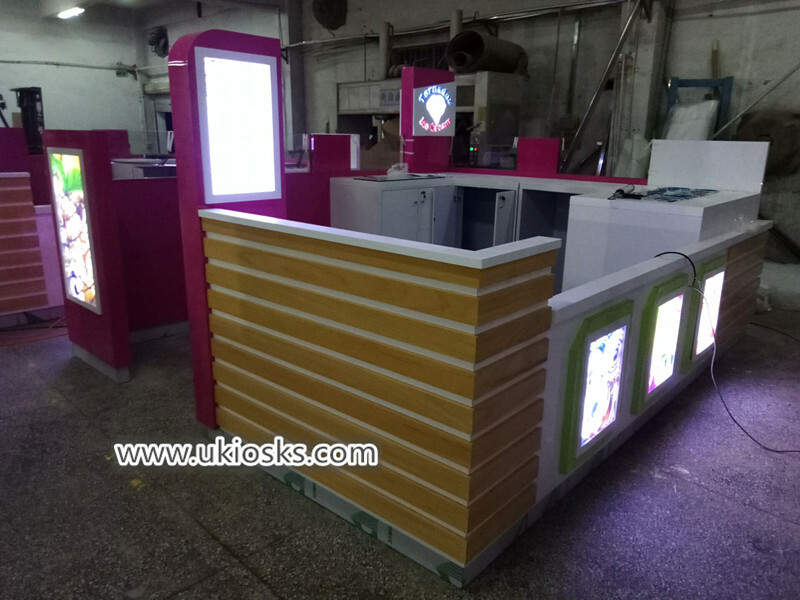 a small drinks fridge showcase at the corner , whole shop with five light box and three acrylic logo with light . 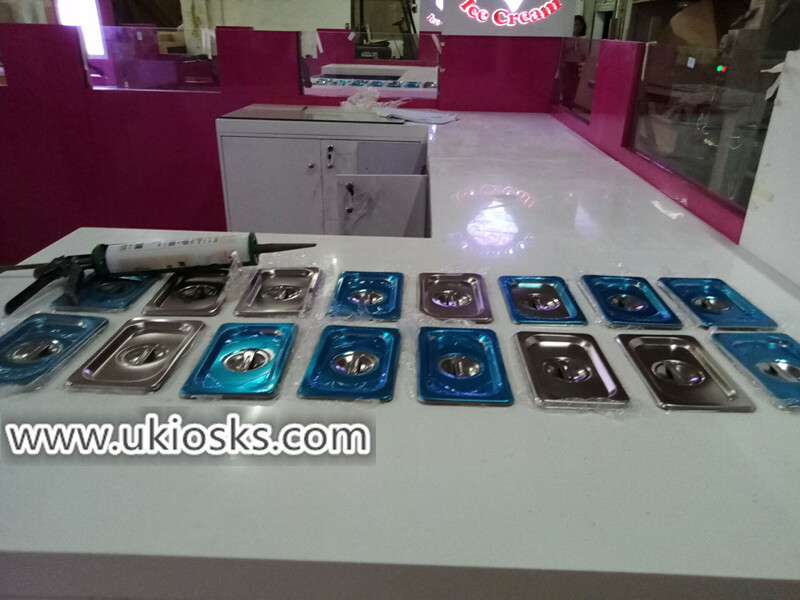 can customized depend on your needs . 2. Some real production photos showings . 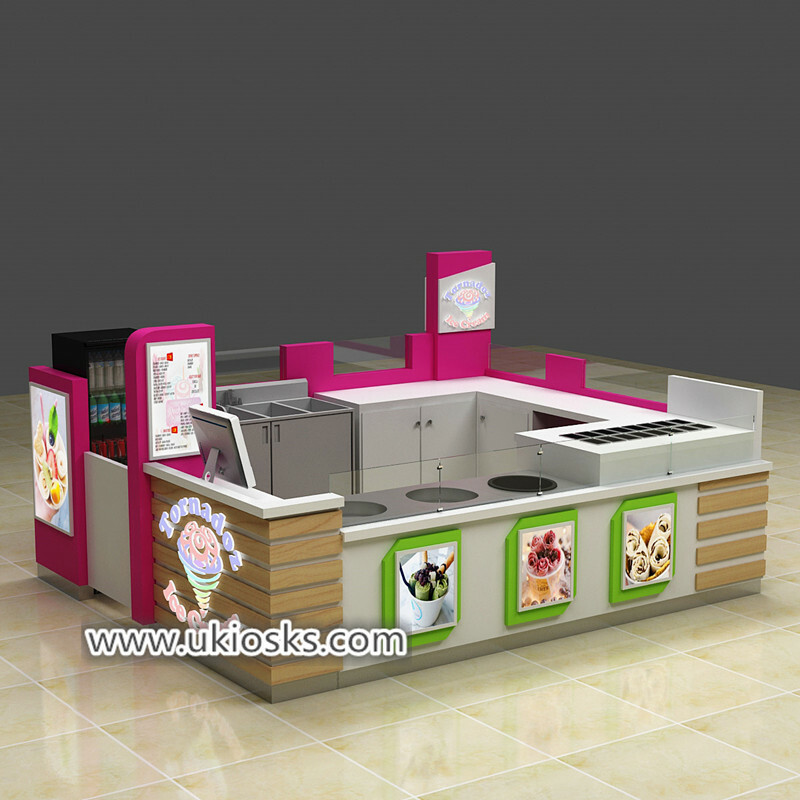 Thanks for your time and reading , if you need more further info about this fried ice cream kiosk, pls feel free to contact us , thank you !